“One of the few genuinely great historians of our century,” according to the New Republic, Eric Hobsbawm produced a canon of landmark books—including The Age of Capital, The Age of Revolution, Bandits, and The Age of Extremes—that both set the standard for radical scholarship and influenced historical thinking across the political spectrum. Now back in print after thirty years, Revolutionaries is vintage Hobsbawm, written masterfully amid one of the century’s most intense periods of political and social upheaval, putting those events in historical context. Few observers were as astute as Hobsbawm at probing, criticizing, and clarifying radical movements, whether in Beijing or Berkeley. 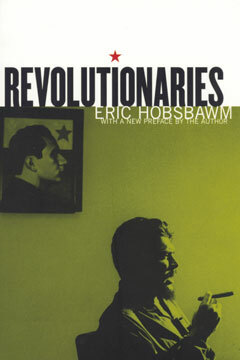 Ranging from historical investigations into communism to contemporary appraisals of revolutionary movements and meditations on Marxism, Hobsbawm’s commentaries are essential guides to ideas and people that changed the face of the twentieth century. Hobsbawm’s essays retain a freshness that speaks both to his brilliance as a writer and scholar, as well as to the perennial importance of his subjects. At a time when the very concept of revolution has been largely discredited, these essays remind us of the enduring importance of radical investigations into—and solutions to—society’s persistent inequalities and injustices.